In this first podcast of a monthly series on the BARN, Operations/Program Chair Catherine Camp talks with fiber artist Caroline Cooley-Browne about the origin and plans of the Fiber Arts Studio. 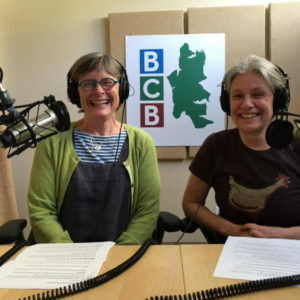 In this podcast Catherine Camp & Caroline Cooley-Browne treat listeners to a discussion about the history of the Fiber Arts Studio and the programs currently offered at the BARN on Sunrise Drive, and planned for the permanent building being constructed off of Brooklyn Road. Caroline enthusiastically describes initially getting together with other artists to form a monthly fiber group to inspire, create community, and support each other’s fiber arts passion. When BARN was conceived, the fiber arts group quickly signed on, excited to contribute to and share their artistic energy with all the other studios. 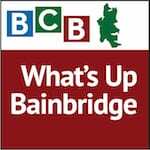 To learn more about upcoming classes at the barn, visit www.bainbridgebarn.org. Credits: BCB host and audio editor: Joanna Pyle; audio finishing and publishing: Diane Walker.